Whether it is the lights strung across the ceiling, the hand-crafted drinks in mason jars or succulents placed on tables for decorations, Health’s Kitchen has made healthy eating affordable, tasty and trendy. 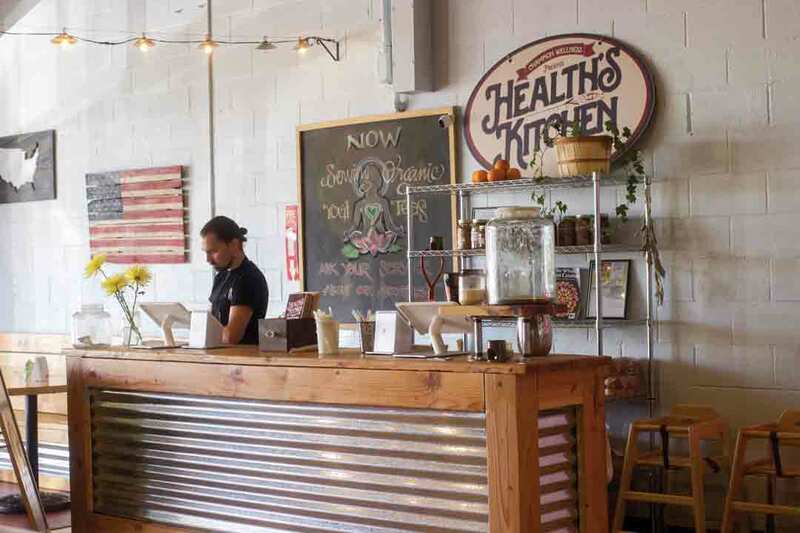 Located at 10120 Indiana Ave. in Riverside, Health’s Kitchen is a farm-to-table restaurant. All of the produce and ingredients used are purchased from local growers in Riverside County, and the restaurant prepares the meals with all-natural ingredients and no extra preservatives. Gabrielle Ward, junior nutrition and food science major, said she has experienced Health’s Kitchen as a customer and an employee. As a server, Ward was responsible for attending to the guest’s dietary and service needs. From breakfast burritos for early mornings to the grilled chicken sandwich for an afternoon entree, the restaurant offers a variety of organic and unprocessed meals everyone at the table can enjoy whether they are a picky eater or have a food allergy. Lisa Prins, Recreation Center graduate assistant, said she was introduced to Health’s Kitchen by her husband when he took her to the restaurant for dinner and enjoyed the good quality of the service and food. The restaurant has become synonymous with dietrary accomodation and quality service. Health’s Kitchen is open Tuesday through Sunday from 8 a.m.-9 p.m. and offers a variety of healthy, farm-fresh foods at a moderate price.